This book acknowledges the importance of adopting a clinical approach to understanding occlusion, and demystifies it for dentists and students. Breaking the mould of traditional texts, the figures are brought to life with a narrated DVD. Dr Naru’s stunning 3D animations bring great clarity to understanding the sometimes catastrophic effects of jaw movement. The clinical videos show comprehensively the process of investigating and managing real life occlusal problems. The second edition provides many new figures and important updates to the text. 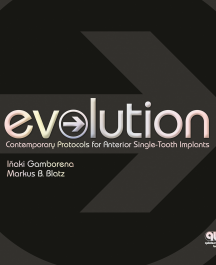 This book guides readers, step-by-step, through the author’s revolutionary wax-up technique to recreate the complex morphology of premolar and molar teeth. Lavishly illustrated throughout, each chapter builds technical knowledge with chapters on nomenclature, morphology, wax handling and application, functional wax-up sequences for maxillary and mandibular dentition, and adhesive cementation and culminates in a series of impressive clinical cases. 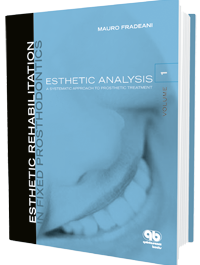 A must-have resource for any dental technician wanting to review occlusal form and improve the functional morphology of posterior restorations. Tooth Preparations: Science & Art by Prof. Clovis Pagani and co-authors is a fully illustrated guide on tooth preparations, a fundamental part of daily dental practice. It contains essential theory and sound practice, including more than 700 high-quality 3D images. The most current concepts on tooth preparations for indirect restorations are covered, with a focus on biological care, preservation in operative procedure, and precision. 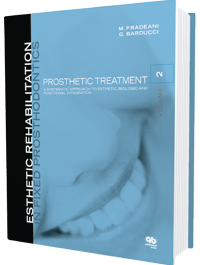 The book is divided into eight chapters, covering topics such as restorative planning; state-of-the-art principles, sequences, and tools for preparations; intra- and extracoronal restorations; compromised teeth; adhesive milled restorations; minimally invasive preparations; and preparations for CAD/CAM restorations. 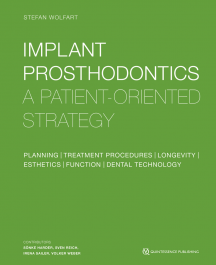 This book provides a clear and objective outline of different conservative preparation designs indicated for a variety of clinical situations and is an indispensable addition to the collection of all restorative dentists.